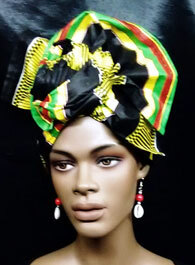 African Kente Head Wrap- Elegant way to show off your heritage. Perfect for any occasion. 2 Yards in Length.